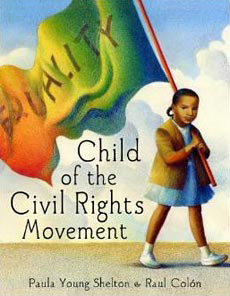 This page lists some of the best civil rights kids books that depict the civil rights movement and era in age appropriate and meaningful ways for children. 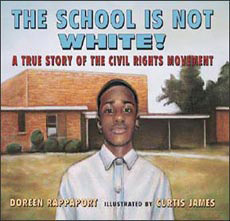 These stories help the reader to understand the widespread and legal segregation and discrimination practices of the time, and also bring to life the heroism of those who fought to change the system. 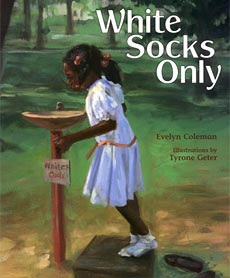 Personal stories or powerful historical fiction novels are often the most effective in helping children see how discriminatory society was and how dangerous it was to fight the system. Children today often find the stories hard to believe given how far we've come. In our multi-cultural society, it's essential to teach children that every person is important regardless of whether they are "different" than you are. Kids pick up on the attitudes and opinions they hear from the adults in their life, and sadly, some students hear messages of prejudice at home. 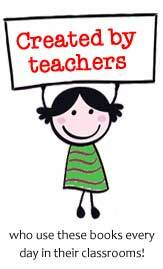 As their teacher, you may be the only adult voice of equality and acceptance in their life! 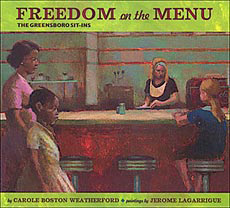 The following civil rights books vividly bring to life the civil rights era--depicting the pervasive and often institutional discrimination and depicting the courageous and determined actions of the freedom fighters who were not going to stop until there was equality for all. 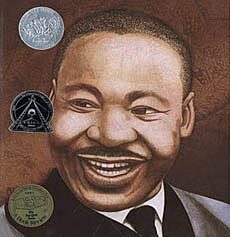 This picture book biography is "a stunning, reverent tribute" (School Library Jrnl) to the man and his legacy. Rappaport weaves King's own words into the narrative, powerfully communicating his passion and ideals. This book is an "ideal introduction" (Publ. 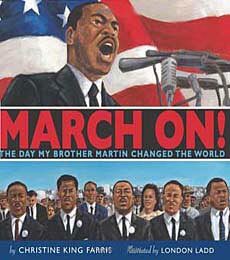 Weekly) and great for MLK's birthday or Civil Rights movement units. Rappaport's text is a strong component, but what we really like is the creativity in Bryan Collier's collages! This book has won NUMEROUS prestigious awards, including the Caldecott Honor, the NCTE Orbis Pictus Honor for Outstanding Nonfiction, and the New York Times Best Illustrated Children's Book Award. Two African-American sisters sneak out of their house and walk down the street to join folks who are going to march with and listen to Dr. Martin Luther King, Jr. The sweet smell of roses is a metaphor for the scent of freedom. "Powerful charcoal images dominate the pages with particular attention paid to facial expressions" (School Library Journal). Booklist ended their review by promising that "this book is not only about segregation; it's also about the crowds of people "walking our way toward freedom," the thrilling portrait of Dr. King, and the two brave kids who cross the line." Little Joseph loves spending him with his grandpa, learning all the many things that grandpa can do with his hands -- help him tie his shoes, play the piano, do fancy card moves... One day grandpa shared with Joseph that there was something he couldn't do with his hands when he was younger -- make bread at the local bakery. The white owner determined that white customers people would not want to buy bread touched by an African American's hands. And then explains how determined people joined hands and eventually helped society change these discriminatory views. 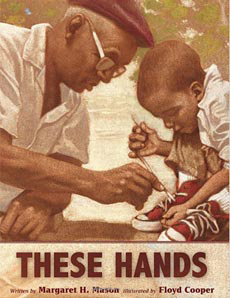 And now, grandpa can do anything he wants to do with his hands! 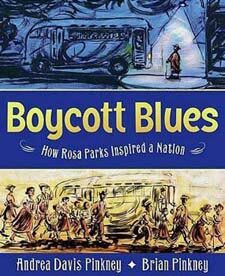 In a starred review, Kirkus said "For all the many titles that appear on segregation and protest for younger readers, this one stands tall not just for delving into a piece of labor history not previously covered, but for its ability to relate history with heart and resonance." 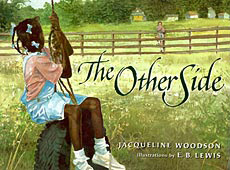 Set in 1950s Nashville, this picture book shows the injustices of segregation through the story of Tricia Ann, an African-American girl, who's finally allowed to go outside her neighborhood on her own. The laws say she can't be in many of the places white people can, so she goes to the public library, where everybody is welcome. In their review, Booklist called this book "beautiful tribute to the libraries that were ahead of their time." Sweet and true! 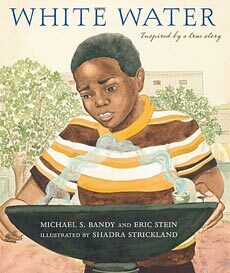 Sarah Marie has just learned to read and now, on their trip to Grandmama's house in the segregated South, she understands the "Whites Only" signs and the pervasive discrimination. 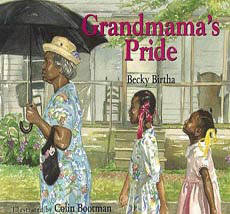 But grandmama handles it all with quiet dignity and wisdom. An uplifting, visually stunning overview of the civil rights movement, starting with Rosa Park's refusal to give up her seat on the bus and then continuing onto Dr. King's boycott speech and the ever growing movement. 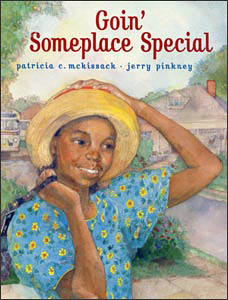 Pinkney's vivid, dramatic illustrations are perfect for the subject. In a starred review, SLJ said that "this story will read aloud well, mesmerizing listeners." 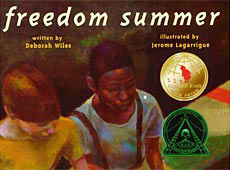 One of our favorite civil rights kids books. 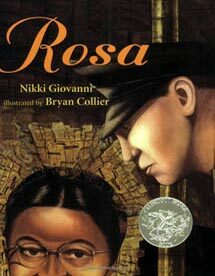 Rosa by Nikki Giovanni is a stand-out children's book that provides "a handsome and thought-provoking introduction" (School Library Journal) to Rosa Parks's role in the Civil Rights Movement. Full of stunning collage illustrations by Bryan Collier, this middle grades book starts with Park's life as a seamstress, then moves to her famous refusal to relinquish her seat on the bus. From there the story progresses to other key events and people in the movement. We mostly like this book because of Bryan Collier's interesting collage illustrations, which are a mixture of watercolor and collage and so uniquely executed. That's not to say we don't like the text and storyline, however. We agree with Booklist, who said in a starred review that teachers will appreciate that "history comes clear in the astonishing combination of the personal and the political." 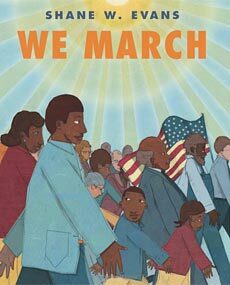 This book would be a perfect choice to use when teaching about the civil rights movement, courage, American heroes, or even on Rosa Parks Day. 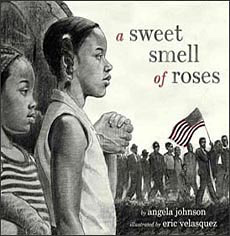 Below are some good chapter books and non-fiction books on the civil rights era for older kids. 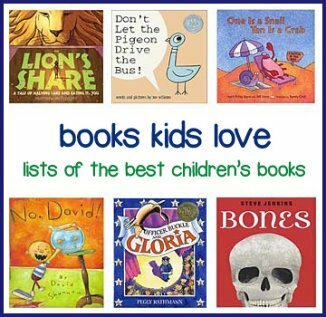 If any of these books seem like a good fit for you, click the link below. Some of these connect to review pages by us and others connect directly to Amazon. Please note that if you purchase an item from Amazon, they give us a small referral fee. This helps pay for site hosting costs, thus allowing us to keep everything free for site visitors!